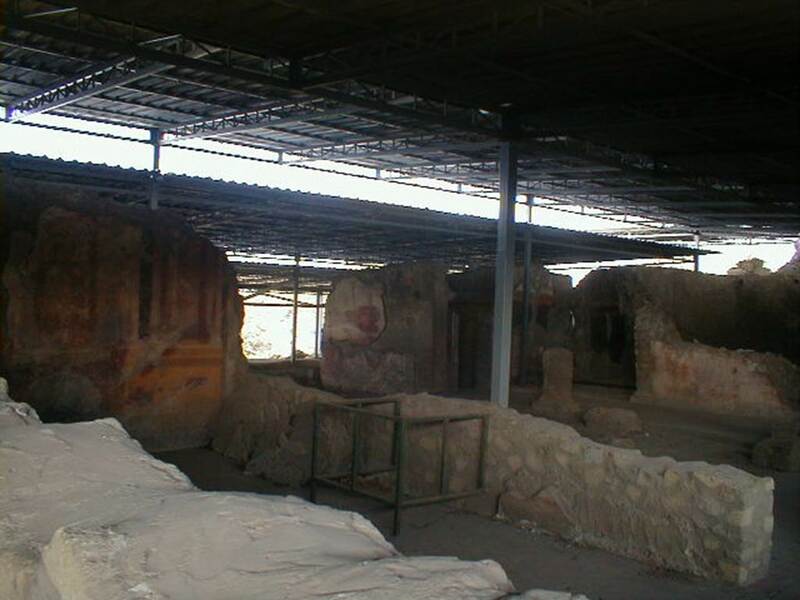 VI.17.41 or VI.17.f Pompeii. September 2005. Entrance. 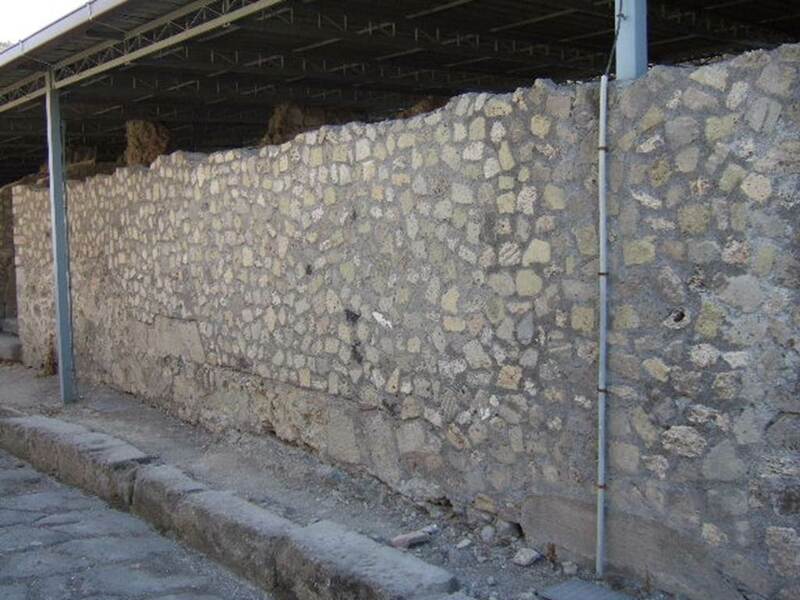 VI.17.c, VI.17.d, VI.17.e behind modern wall - (no number assigned). September 2005. 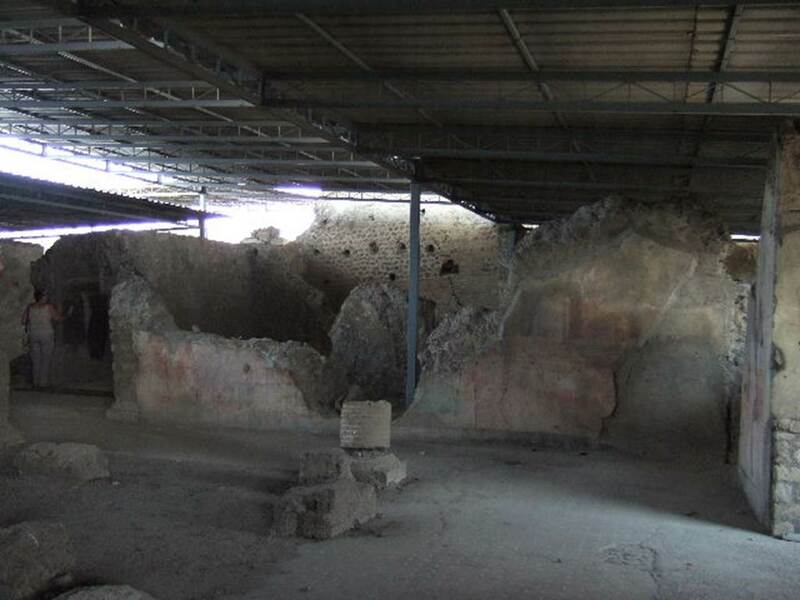 VI.17.41 Pompeii. May 2005. Entrance doorway with steps. VI.17.41 Pompeii. May 2015. 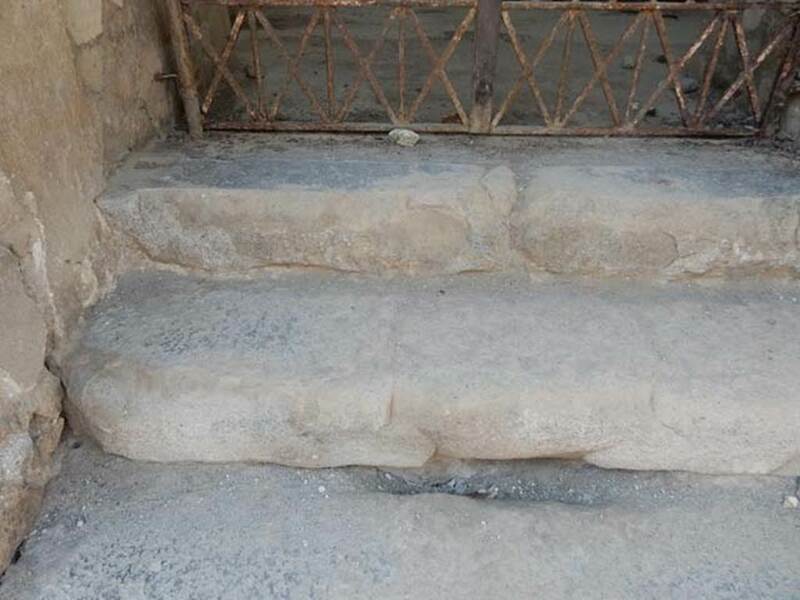 Detail of entrance steps. Photo courtesy of Buzz Ferebee. VI.17.41 Pompeii. May 2015. Looking west across atrium from entrance doorway. Photo courtesy of Buzz Ferebee. 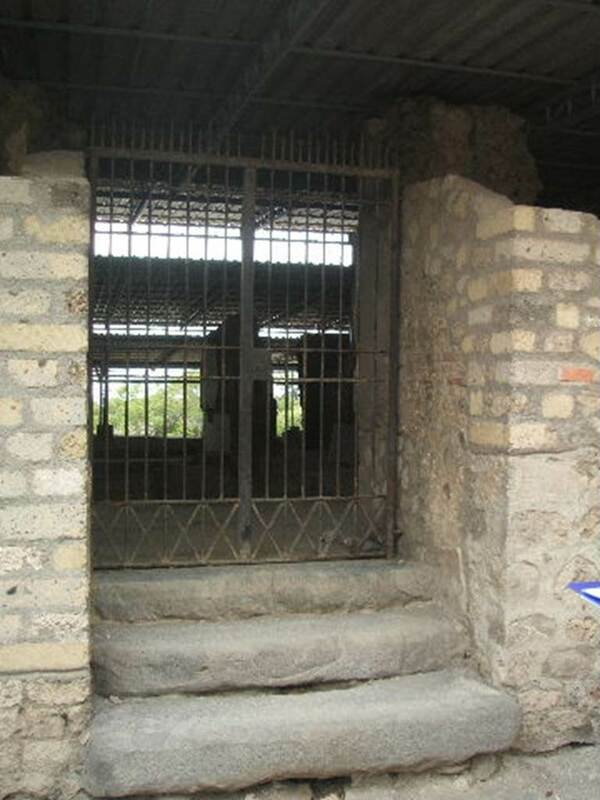 VI.17.41 Pompeii. May 2010. Looking west across atrium. 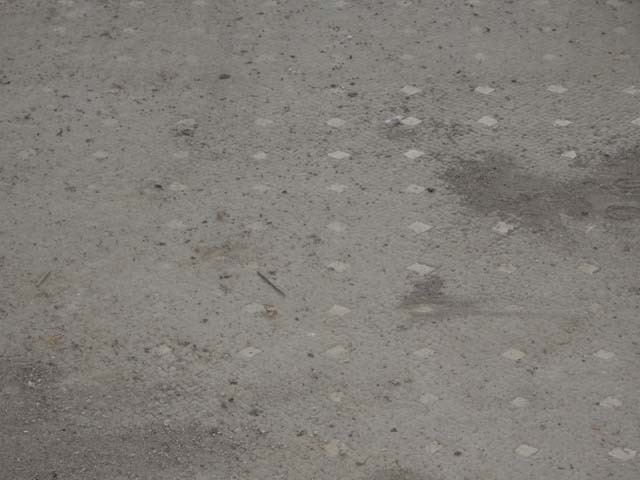 The flooring was made of a mosaic of black tesserae arranged with the dots of large white tesserae in lines. A broad band of white tesserae marked the edges of the impluvium. 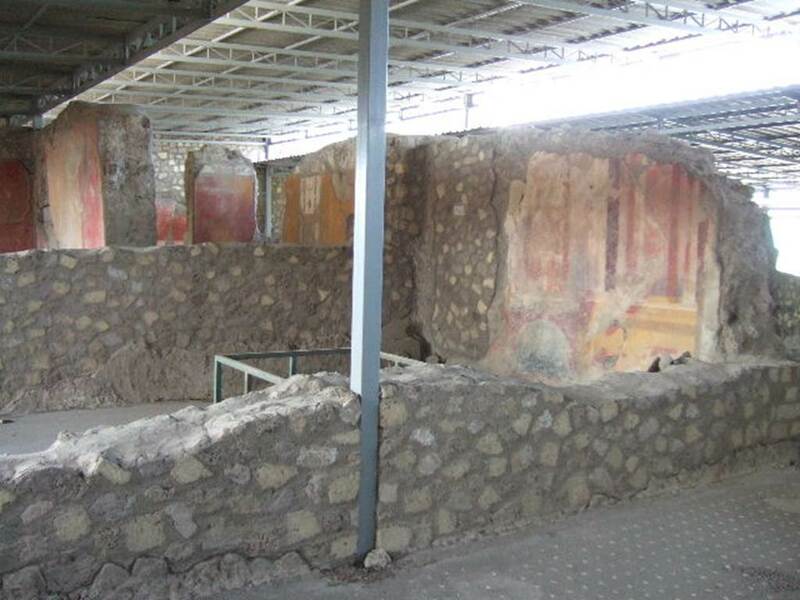 VI.17.41 Pompeii. May 2015. Looking south-west across atrium. Photo courtesy of Buzz Ferebee. 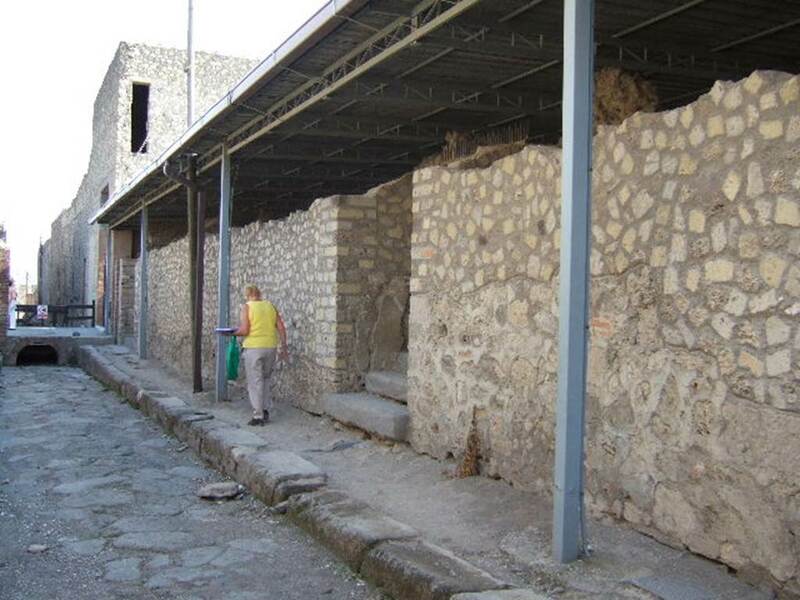 VI.17.41 Pompeii. May 2011. Looking south-west across atrium and impluvium, from entrance doorway. VI.17.41 Pompeii. May 2005. Looking south-west across atrium and impluvium. 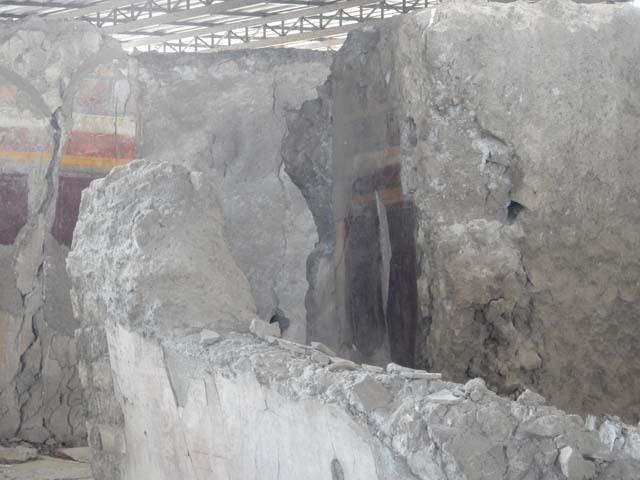 VI.17.41 Pompeii. May 2011. Looking north-west across atrium, from entrance doorway. Photo courtesy of Michael Binns. VI.17.41 Pompeii. May 2015. Looking north-west across atrium, from entrance doorway. Photo courtesy of Buzz Ferebee. VI.17.41 Pompeii. May 2015. Flooring in atrium. Photo courtesy of Buzz Ferebee. VI.17.41 Pompeii. May 2015. Rooms on north side of atrium. Photo courtesy of Buzz Ferebee. VI.17.41 Pompeii. May 2005. North side of atrium. 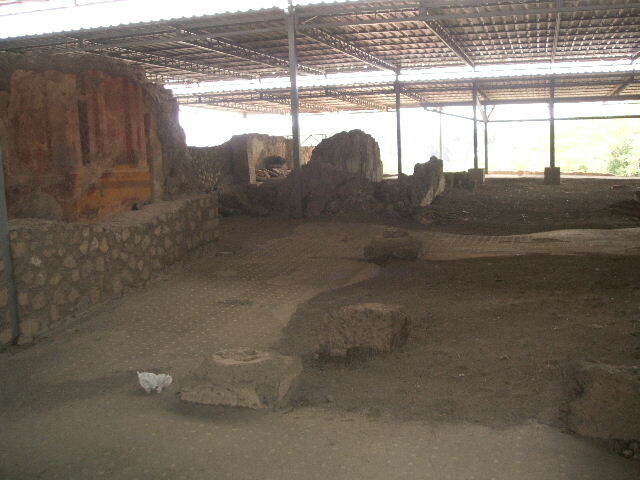 VI.17.41 Pompeii. May 2006. Looking towards north side of atrium. 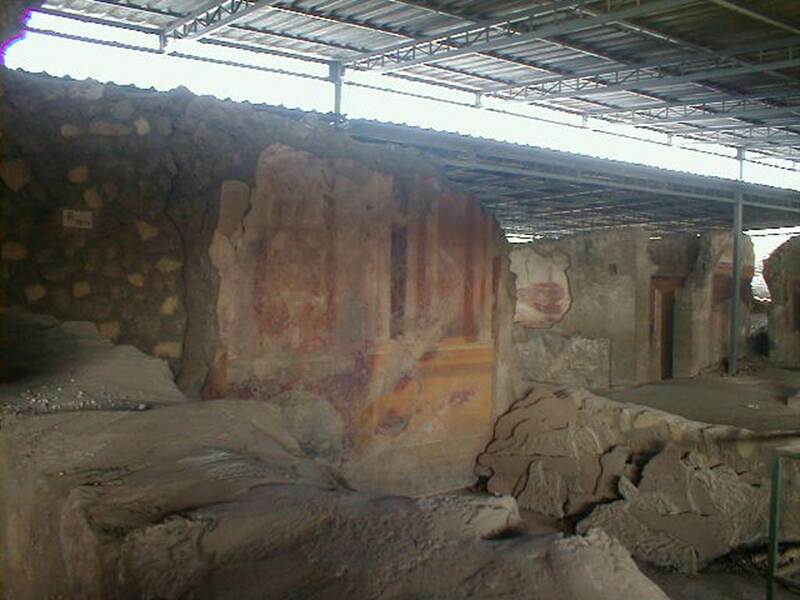 VI.17.41 Pompeii. September 2004. 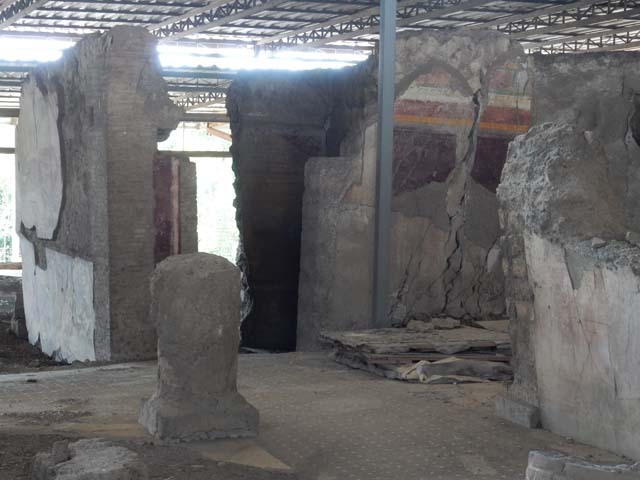 Looking north-west across triclinium on south side of atrium towards tablinum. 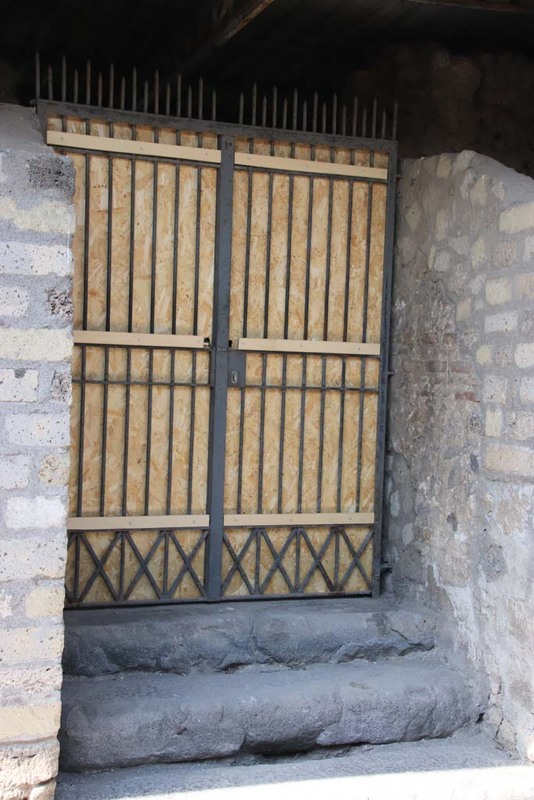 VI.17.41 Pompeii. September 2004. 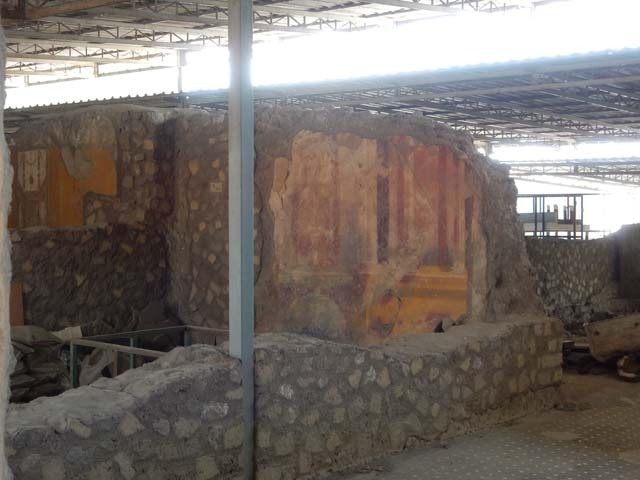 Looking north-west towards west wall of triclinium with painted decoration, on south side of atrium. VI.17.41 Pompeii. May 2015. 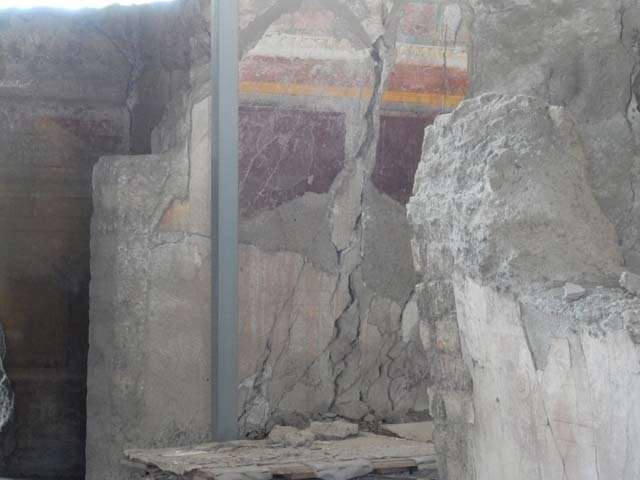 Looking towards west wall of triclinium with painted decoration, on south side of atrium. VI.17.41 Pompeii. May 2015. 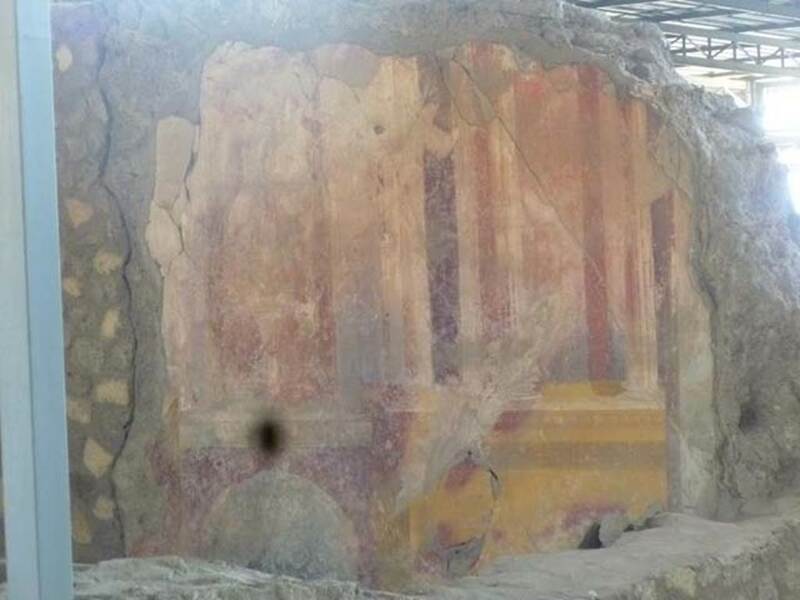 Detail of west wall of triclinium on south side of atrium. Photo courtesy of Buzz Ferebee. VI.17.41 Pompeii. May 2011. 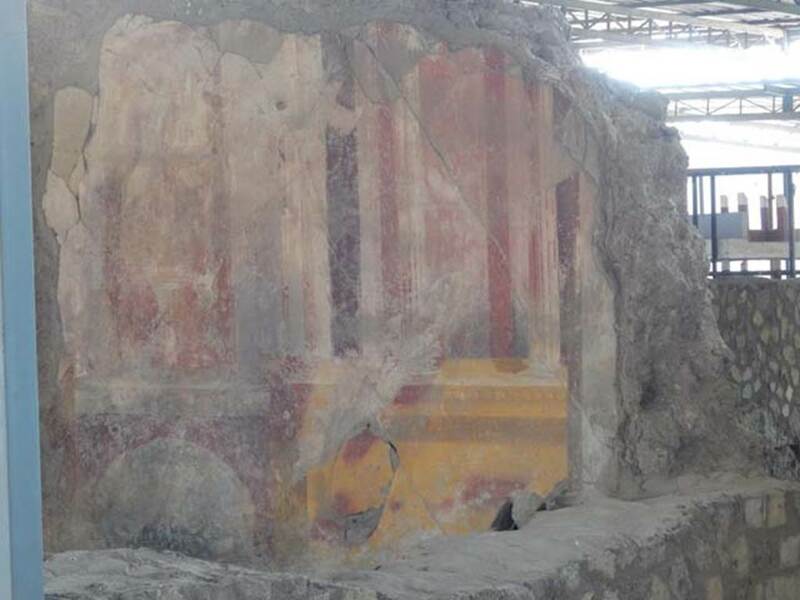 Looking towards west wall of triclinium with painted decoration, on south side of atrium. VI.17.41 Pompeii. May 2010. 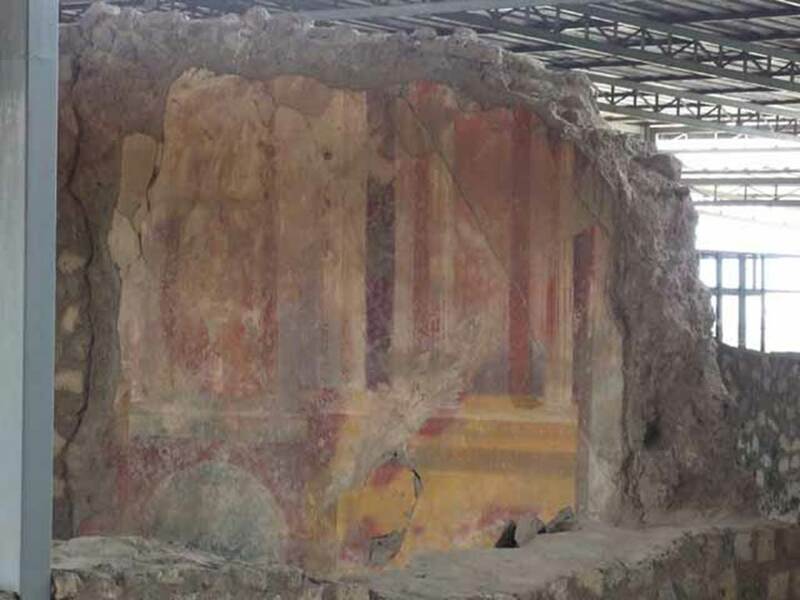 Painted west wall in triclinium on south side of atrium. 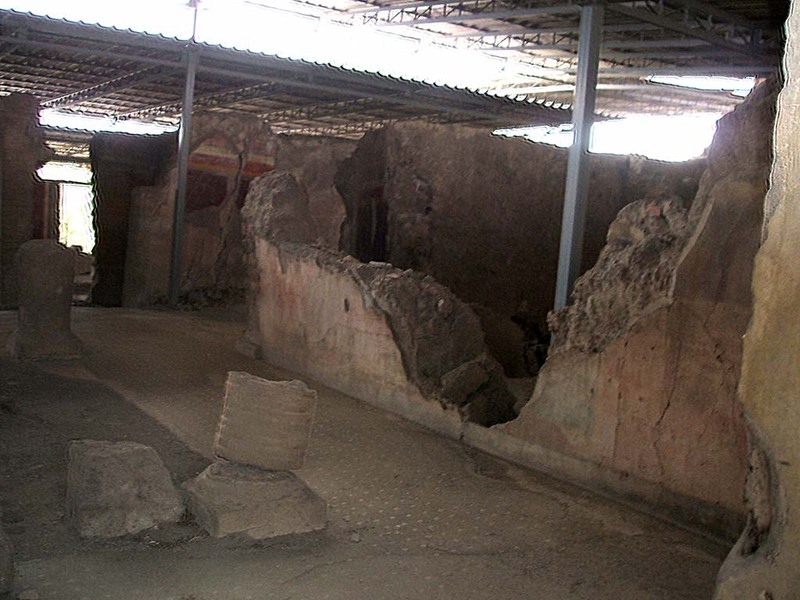 VI.17.41 Pompeii. May 2006. 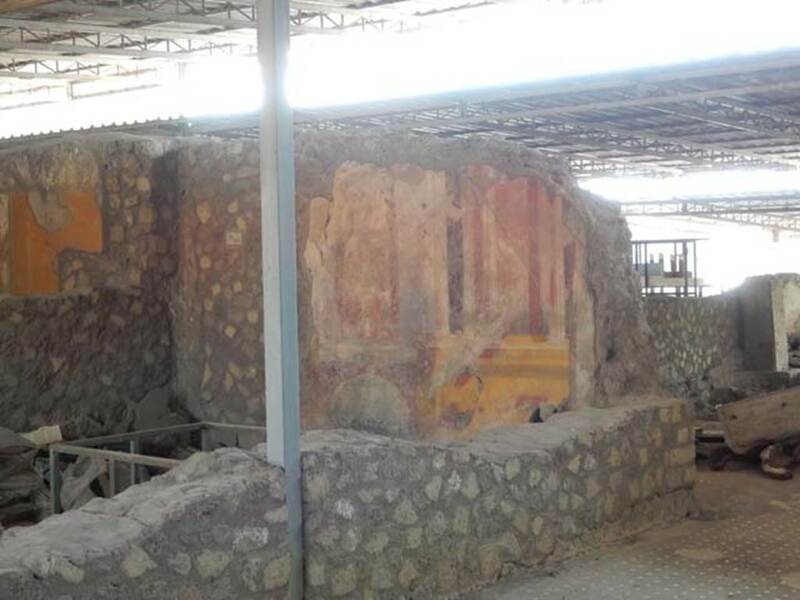 Looking towards west wall of triclinium with painted decoration, on south side of atrium. VI.17.41 Pompeii. May 2006. 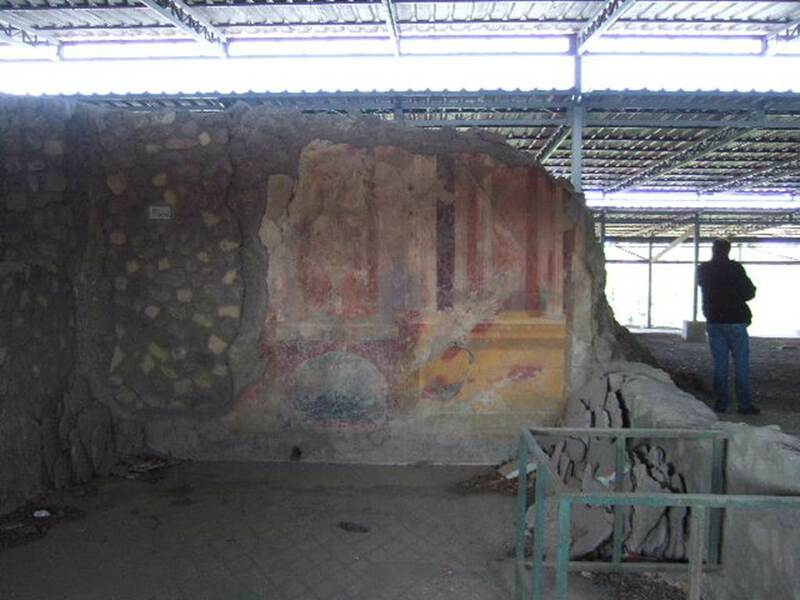 Looking south-west at west wall of triclinium with painted decoration, on south side of atrium. VI.17.41 Pompeii. May 2006. 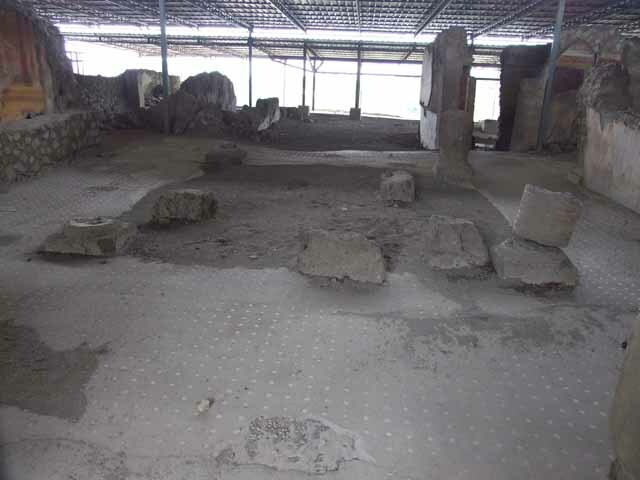 Mosaic floor in triclinium on south side of atrium. 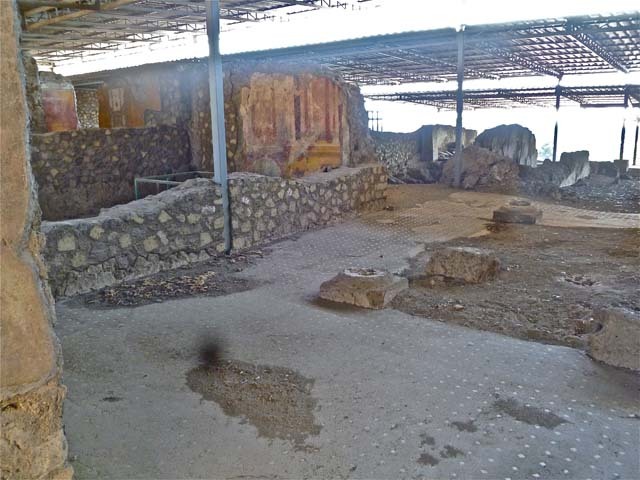 The mosaic floor of this triclinium was divided into two parts, the anteroom and the main room. The mosaic in the main room was of a net design of diamond shapes (lozenges) outlined in black on a white background. It was bordered by two wide bands of black and white mosaic, at the base of the walls the floor was of white mosaic. 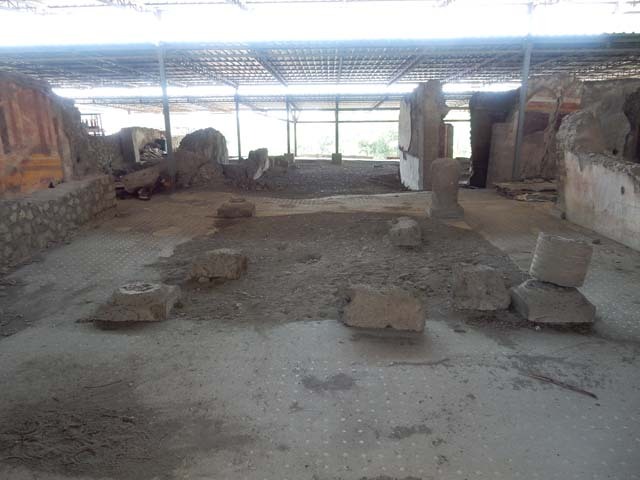 The lack of mosaic (at the lower edge of the photo) was probably due to the removal of the threshold between the anteroom and the main room by the Bourbon excavators. 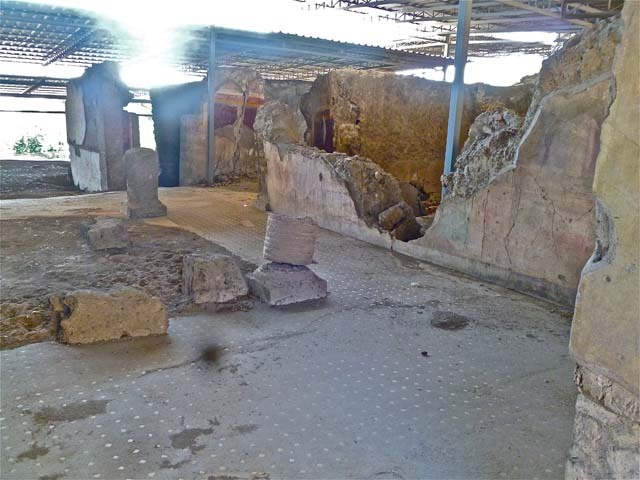 The mosaic floor of the anteroom was of a “carpet” design edged with a straight black band, in the centre of the “carpet” on a white background, was a pattern of rows of crosses, formed by four small black tesserae. See Fiorelli G., 1860. Pompeianarum antiquitatum historia, Vol. 1: 1748 - 1818, Naples, 1, pp.97-101.